The Seal Breakers were formed in January of 2001 but its musical heritage has roots that were planted many years ago. The Seal Breakers leader Craig Williams wanted to bless music lovers with the brass horn music that he heard in his church and the influence of legendary bands like Earth, Wind and Fire, The Ohio Players, Chicago and Sly and the Family Stone. Having written, produced and performed with many notable artists in the 90’s Craig Williams sought to combine his early musical influences with the contemporary gospel, jazz, soul-R&B and hip-hop that have been part of his musical history. The Seal Breakers primarily employ the use of brass horns, keyboards, guitars and percussion to bring listeners to their feet in raucous celebration. Since Craig Williams began The Seal Breakers they have been blessed to perform and/or record with many notable soul, jazz and gospel artists nationally and internationally. In March 2007 the band was also honored to record a soundtrack for a documentary film “Bowl of Dreams” at the insistence of Dr. Bill Cosby who was literally blown away by The Seal Breakers’ performance at Medgar Evers College in Brooklyn N.Y. The band travels throughout the U.S. playing at churches, schools, music festivals, colleges/universities and civic functions, spreading the message of love and hope through music. The Seal Breakers have completed their first full-length C.D., which was produced by one of the bands musical inspirations, trombonist Kenny Carr. Every time The Seal Breakers play they affirm the words of Bill Cosby that he shared with his audience on that chilly November morning, “This music is our heritage, our life, our story through music." 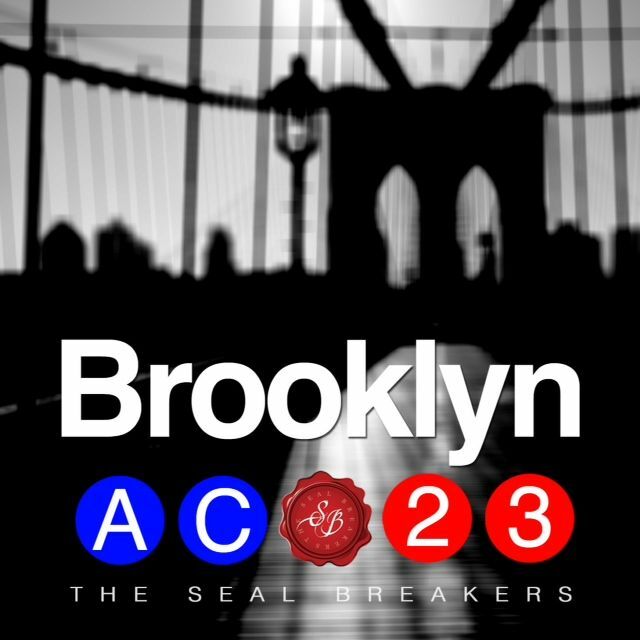 May 8, 2013---NEW YORK, NY--- The musical band The Seal Breakers pays homage to their city, and the two highly acclaimed rappers Notorious BIG and Jay Z with their new single “Brooklyn”. The digital release of the single was May 7th 2013 on ITunes, Amazon, Spotify and wherever digital music is sold. The Seal Breakers are really proud of this song because it represents the many facets of the bands musical tastes. Fat horns, great singing (by singer Paula Shaniece), hip hop vibe and lyrics reminiscent of the best in the soul music tradition. One music critic said it best when he said of the single “it just feels good.” The song “Brooklyn” highlights the tenacity of the people of Brooklyn. With this song, writer/producer Craig Williams says he wants to convey to its listeners “that Brooklyn is more than just a borough, it’s a lifestyle. It means having the strength and will power to overcome obstacles no matter where you’re from. As the lyrics of song says ‘it ain’t been easy, but I wouldn’t trade it cause that’s how I made it.’” The Seal Breakers grew up in the gritty streets of the city, and they still appreciate their experience because it has made them and their music what it is today. The song pays homage to their city, fallen hip hop artist Notorious BIG, (who was a friend of Seal Breaker leader Craig Williams) and hip hop icon Jay-Z who grew up in the same tough projects as many of the guys in the group. If it wasn’t for their involvement in music, many in the band would have fallen victim to the crime, poverty and violence of the tough urban jungle. The Seal Breakers were formed in January of 2001 under the name, The Eagles but its musical heritage has roots that were planted many years ago. The Seal Breakers leader Craig Williams wanted to bless music lovers with the brass horn music that he heard in his church and the influence of legendary bands like Earth, Wind and Fire. For more information, contact leader Craig Williams at www.facebook.com/thesealbreakers .